August | 2015 | The Fantastic Flame On! It’s time for another team-up, in more ways than one. 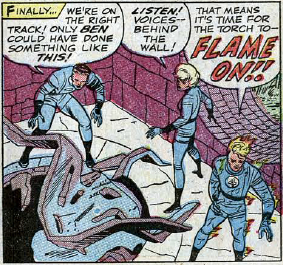 We’re covering Marvel Team-Up #2: The Frightful Four are back, with a surprising new addition to the team, and only the Human Torch can stop them. Aided and abetted by Spider-Man, it’s the teenage heroes of the Marvel Universe against the Fantastic Four’s greatest villains, as well as an unexpected threat from the Negative Zone. All this comics goodness if brought to you by Gerry Conway, Ross Andru and Jim Mooney. Teaming up with us to tackle this titanic tussle is writer and podcaster James Hunt. James is a regular feature writer at Den of Geek, co-writer of A Brief History Of Time Travel, and part of the panel at the excellent Cinematic Universe podcast. He can be found on twitter as @jameshunt. This week sees us cover Fantastic Four #122. Galactus has arrived on Earth, and he is very hungry. 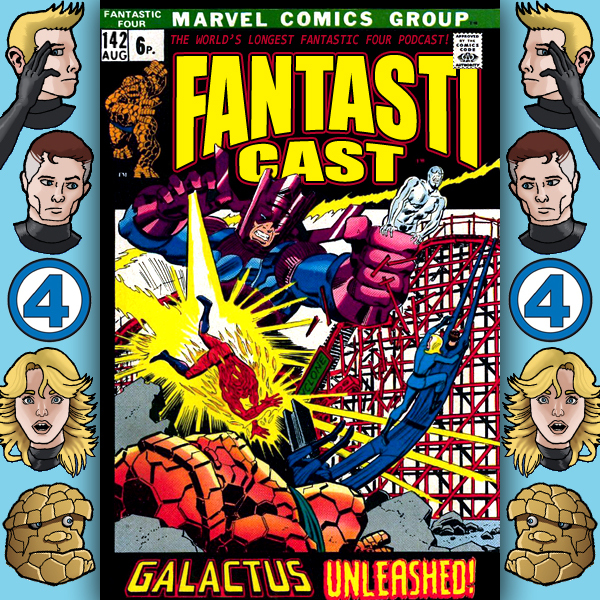 The Fantastic Four get into their most physical confrontation yet with the World Eater, before splitting up and embarking on a daring hijacking mission. Can the Silver Surfer find a way to escape his fate? All this and more in this issue from the hands of Stan Lee, John Buscema and Joe Sinnott. We’ve also got our regular dose of listener e-mails, Andy embarks on a particularly troublesome elocution safari, and we discover the madness of dating Madness. 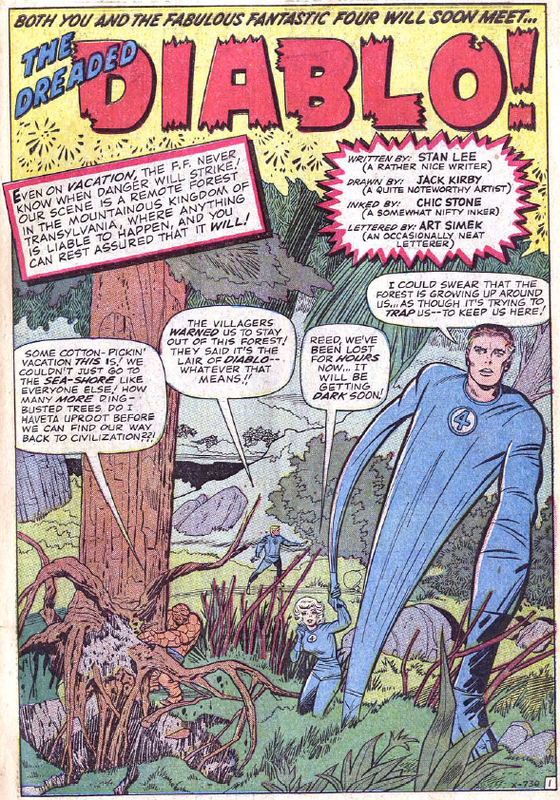 It feels like ages since it was just Andy and Steve discussing an issue of The Fantastic Four, and that’s what we’re doing today. 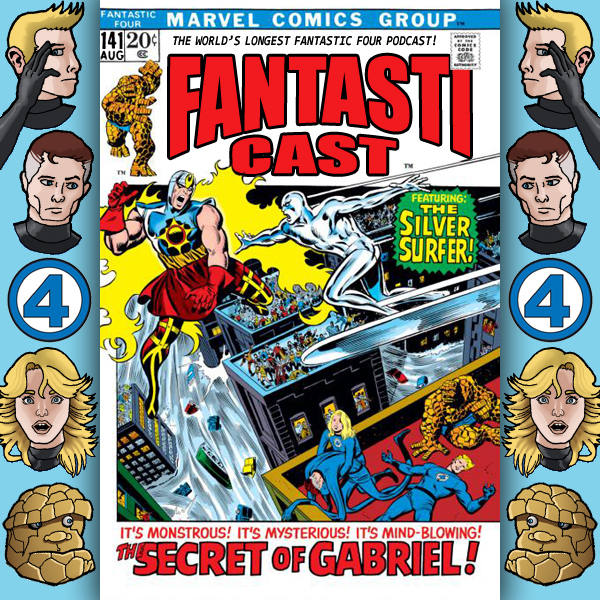 Fantastic Four #121, the second part of Stan Lee’s final run on the book, continues to try and find something interesting to do with Gabriel The Air Walker. Will it succeed? The answer may surprise you! We’re also back to reading your e-mails, and Steve attempts to defend a controversial position with the appropriate amount of nerves. Andy’s advanced amnesia returns, and we ask the important question – what does a herald of Galactus need with a starship? 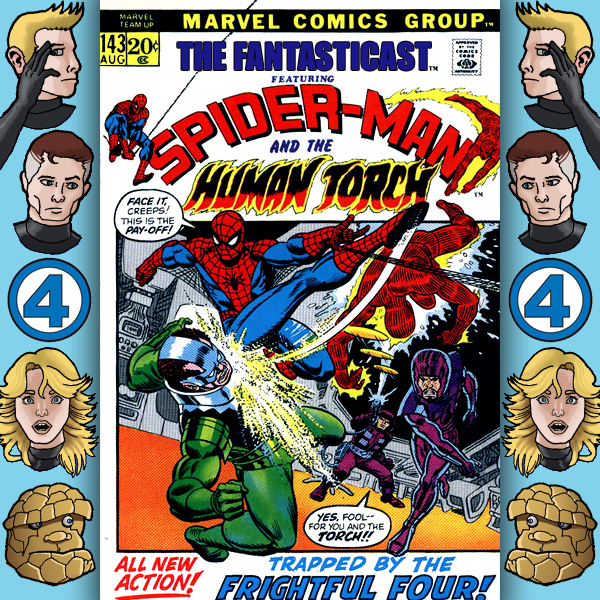 This week, we’re branching away from The Fantastic Four to cover the first issue of the iconic team up book from Marvel, Marvel Team-Up. 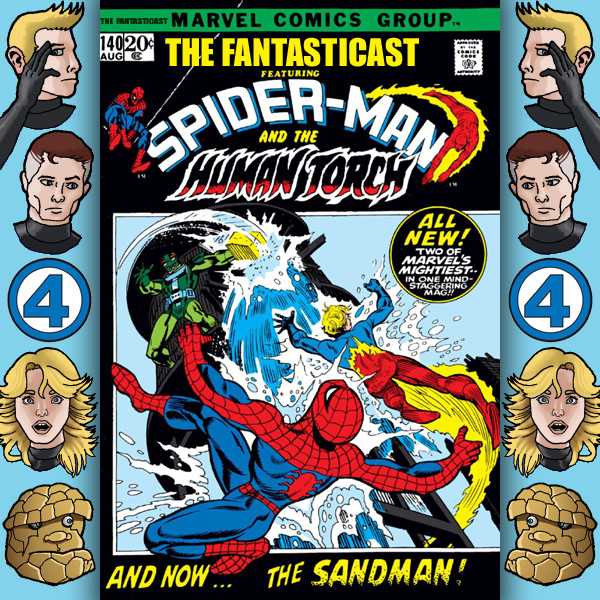 The Human Torch and Spider-Man teaming up to stop the Sandman from… er… anyway. Roy Thomas and Ross Andru team up to bring you this titanic team up. And they’re not the only ones! To celebrate the launch of this title, we’ve teamed up with Avengers Inspirations and New 52 Adventures of Superman host (and past guest host for The Fantasticast) Jon M. Wilson. Together, we discuss bungalows, explore continuity and nitpicks, index the official indexes, and uncover the secret history of Misty Knight. 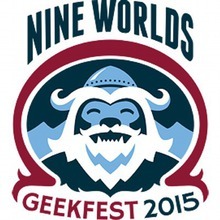 The Nine Worlds GeekFest 2015 will be taking place this weekend at the Radisson Blu Heathrow Hotel. If you’re there, then there’s a good chance of tracking me down for the purposes of making me really embarrassed and awkward. Also, nice things as well, but I can definitely guarantee the awkwardness! I’ll be working as a full-time steward during the days and evenings of the convention, and as the evening becomes the night, you’ll probably find me in or near a bar. On Saturday 8th August, I’ll be taking part in three panels as part of the podcasting and comics tracks of programming. Show, Don’t Tell: Wordless Comics – Why make wordless comics? What do they represent? From sign-language to space to animal speech, why make wordless comics and why are they so effective? Yes, that’s Kieron Gillen on the panel. Of Phonogram, Journey Into Mystery, Young Avengers and The Wicked + The Divine fame. And Howard Hardiman of The Lengths fame. And Sally Jane Thompson of several awesome UK small press comics. And Sarah Gordon, who is, admittedly, a creator I’ve not yet experienced. If you’re wondering if I’m feeling a little out of place and under qualified to be on this panel, then you’re a little right. But, having spent the past few weeks reading comics without dialogue (including more comics from Marvel’s ‘Nuff Said event than I’d really like to have done), I’m looking forward to seeing what the discussion turns up. Come see Dan and Gavin from the Sidekickcast preside over the second annual podcaster games, and see which of our teams are worthy of winning the coveted ‘Golden Mic’. I’m not sure what to expect from this panel, other than that I’ll probably either do really well or really terribly. Either way, I’m looking forward to having a lot of fun! Laika biting Thanos: Galactic Comics – Five ten-minute talks on SPACE and AWESOME Updated! Four speakers present different aspects of cosmic comics: from whether tech leads comics or the other way around, to why we can’t stop thinking about Soviet Space Dogs, via a whole lot of prog headgear. I’ll be talking about the first comics I read which took me into space, how they influenced me, and why they’re amazing comics that genuinely transcend the medium. As for what these comics are… well, I don’t want to give too much away just yet. But don’t worry – all will be revealed on this weekend’s Fantasticast. I hope that some of you (admittedly, it’s going to be a very small portion of our audience) are heading over to the convention, and I look forward to meeting you there!